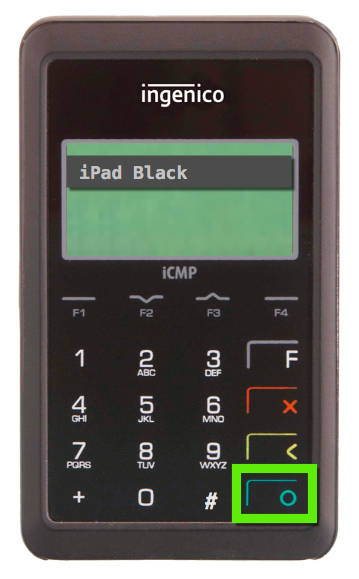 The iCMP card swipe is designed for mobility, allowing you to process transactions on the go! Before pairing the swipe to your iPad, make sure the device is fully charged. 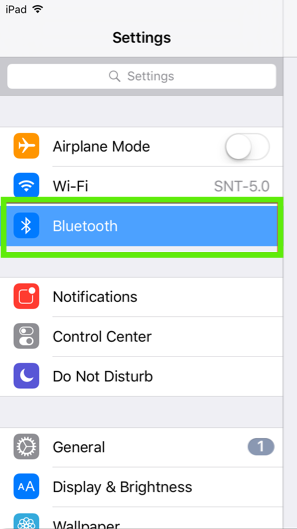 On the iPad, open the settings application and turn on the bluetooth functionality. Press the power button above the micro USB post to turn on the reader. 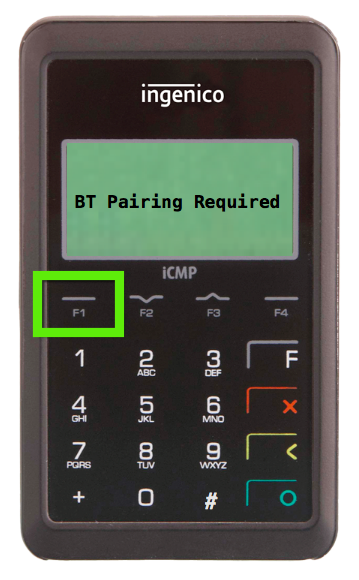 When BT Pairing Required appears on screen, press the F1 button. 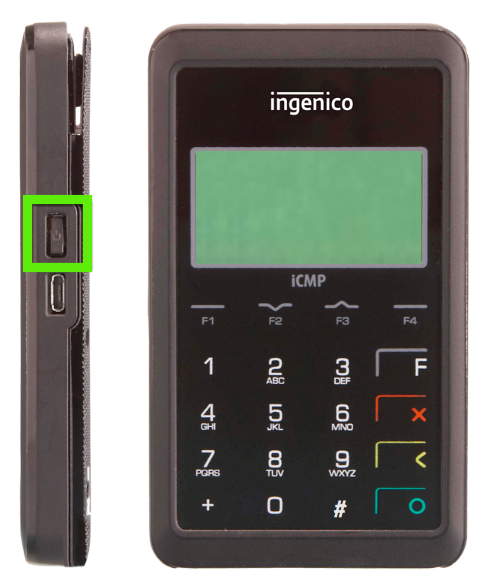 Press the GREEN button to find your bluetooth Pairing Pin. Enter the PIN from card swipe device onto the iPad. Then press Done. You''ll have 1 minute to pair the reader and iPad before the PIN expires. Under My Devices on the iPad, a device labeled "iCMP..." will display. Press the F key four times. 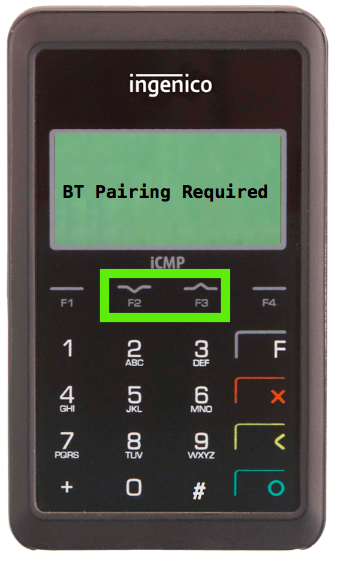 Once the BT Pairing required screen appears, follow the above guide from step 3. 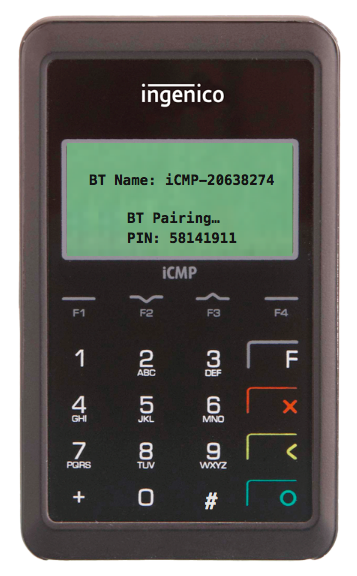 If re-pairing the device doesn't work, select the iCMP in the Bluetooth menu and choose Forget this device. Once the device is forgotten restart the iPad and the iCMP PINpad (Yellow key *+ *#). Try pairing the device again. Restart the iCMP PINpad (Yellow key *+ *#). Enter 2634, Green F to enter the configuration. Navigate to TDA, then Configuration, then Communication and select Comm. Type. Select Bluetooth and press Green. This prompt you to Save and reboot? Select Yes. The iCMP needs to be charged frequently and will turn off when it is not in use. When the device is off, use the side power button to turn it on. It should connect to the iPad automatically. If your card swipe does not turn on, try charging it fully before retesting.